A helical gear can be left handed or right handed. The angle of the helix is measured from the line of the axis of the gear. A “helical gear with a helix angle of zero degrees is a spur gear. A right handed gear is one where the twist is in the same direction as a right handed screw. In this case the cutter is fixed in position. 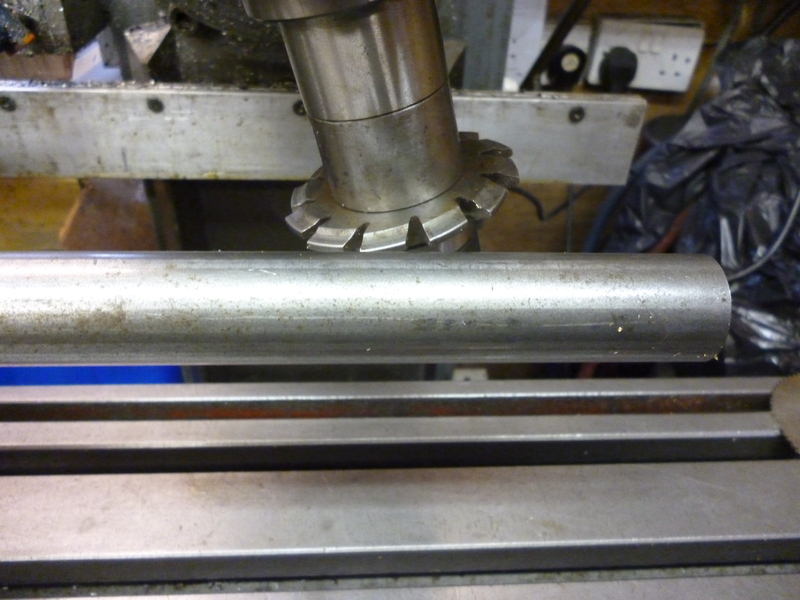 It is only possible to cut a helix by swivelling the milling table. 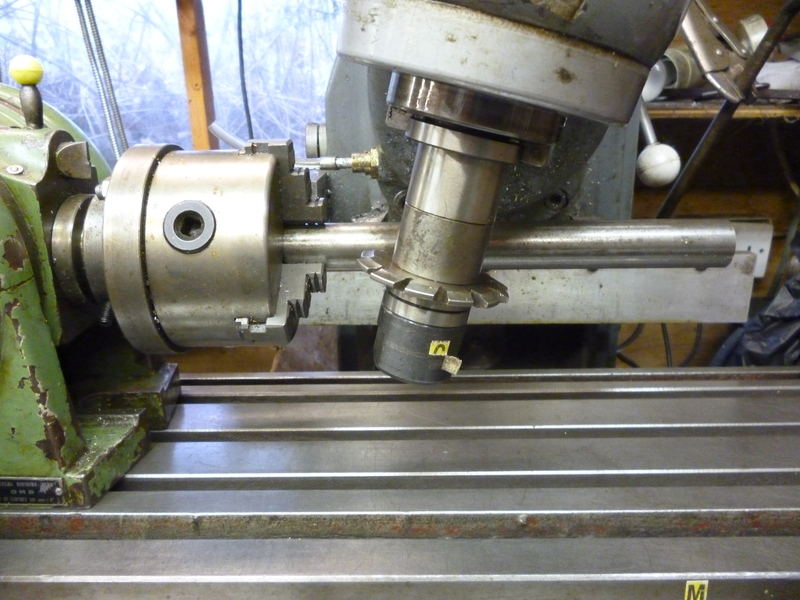 Any helical angle is determined by the angle the milling table makes to the cutter. In practice, in this configuration, the cutter will always be above the workpiece. If the table is swivelled anti-clockwise, as shown, the helix will be right handed. This is true whether the right piece is fed from left to right or from right to left. 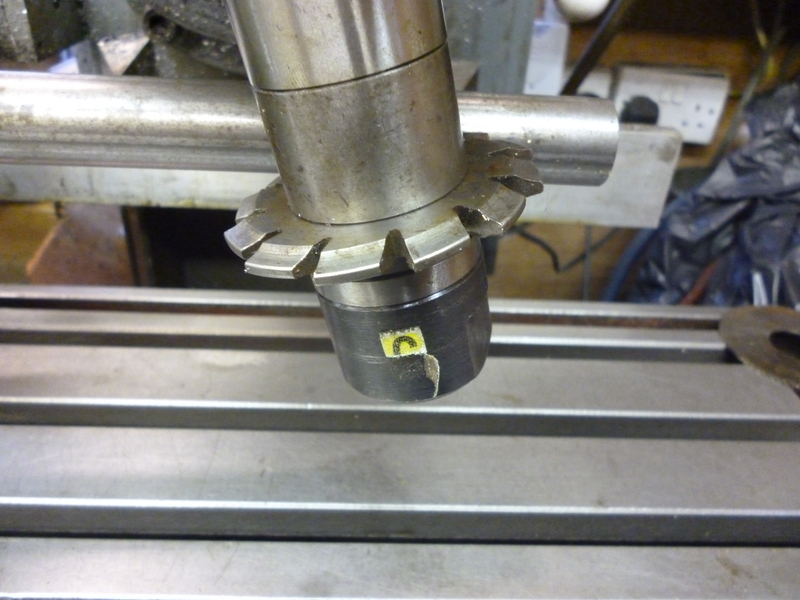 Since the table will only swivel a bit past 45º this is the maximum helix angle that can be cut using this setup. If the table is swivelled in the clockwise direction the helix will be lefthanded. In this case the cutter is exactly the same sort of cutter as was used using the horizontal arbor but now it is mounted on a stub arbor fitted into the vertical socket. The cutter is set at an angle by swivelling the vertical head in the x/z plane. This set the helix angle. In this case the range of helix angles that are possible is from 0º up to almost 90º. 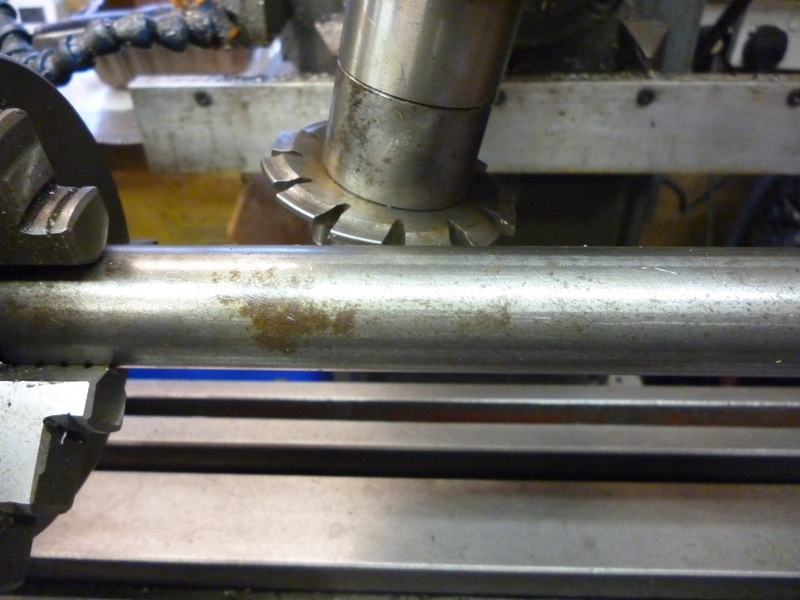 But as the angle increases there comes a point where the length of the cut possible becomes limited by the workpiece clashing with the vertical head. With this configuration the cutter can be in front or behind the workpiece. If the cutter is in front, then, if the head is rotated clockwise the helix will be right handed. If it is rotated anticlockwise the helix will be left handed. However if the cutter is behind the workpiece this if all to other way round. Being able to use a vertical milling machine to cut helices is very useful since this is the machine most amateurs will have. 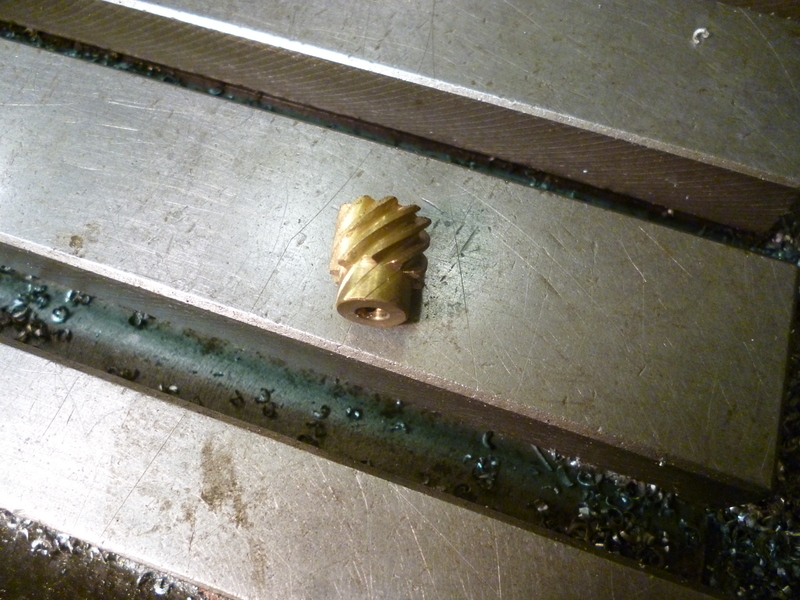 It also makes it possible to cut much larger helix angles. The only advantage of using a horizontal machine is that the setup is much more rigid. This is because the horizontal arbor is supported at the far end when horizontal milling, whereas the stub arbor is not supported at the far end when vertical milling. But this is not as useful to the amateur as it would have been in industry.